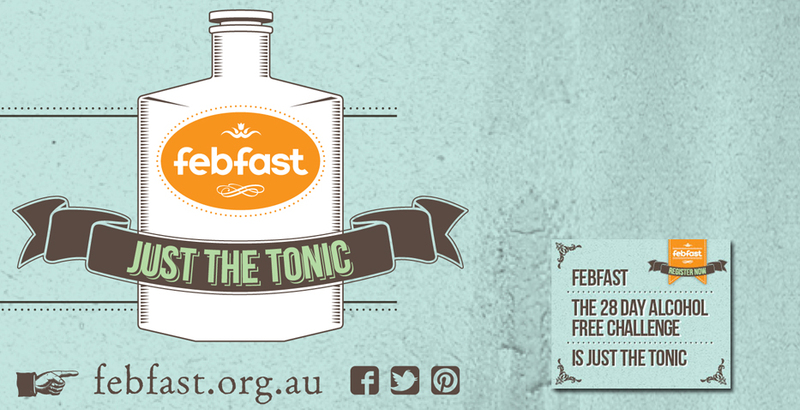 It’s February 1st and the wee team at HQ febfast are all busy asking Australia to press pause in their drinking for 28 days. It’s always a funny time of year when people ask every kind of question under the sun related to the trials and errors, slings and arrows of giving up alcohol for 28 days. And if nothing else, I’m always delighted that at the very least, we get a nation talking about the concept. At febfast we’re careful not to judge, preach or wave an accusing finger at people’s drinking. In fact, we think it’s about what you can START in the month of Feb, not what you’re giving up. Most fasters lose weight, exercise more, sleep better and save some money. The outcome of all that is more people ‘doing stuff’ that they always intended to do. We always receive lovely stories of families hanging out more, people joining clubs, friends catching up and all without that groggy hangover that had previously frogmarched us to the nearest café for a greasy breakfast. I’m always asked if a month off actually achieves anything. Surely more alcohol-free days every week is the best option? Well, sure, but never let common sense get in the way with human behaviour! What we find (and we researched this) is that it’s precisely due to the 28 day break that enabled people to then have the 3 or 4 days alcohol-free days in the months thereafter. febfast is the circuit breaker that enables the space for change. Finally, we’re not just a preventive health campaign, but a fundraiser too. We hope to raise $1 million this Feb for vulnerable families and young adults who, day in, day out, fight their demons with AOD misuse, all of whom have put up their hand to ask for help. Knowing that thousands of febfasters are making the small sacrifice of a month off alcohol to answer that call, is perhaps the most humbling part of febfast. But it’s Mardi Gras month :’-( How can I be strong?? Funny you should say that. One of the Mardi Gras DJ’s (Dan Murphy, playing the 3am to 5am spot) is doing febfast in order to get in shape for the early march party!